"Absolutely Stoked! 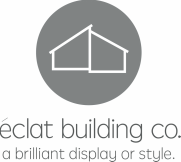 We recently contracted eclat Building Co. to undertake our first renovation. Being new to renovating and also not having an exact design idea Andrew and his team made the whole process so easy, from the initial quoting and design faze through to the final handover. The whole team were great to deal with, approachable and gave us guidance and input in helping us design our new kitchen, dining and living area. Very professional and with a great eye for detail the quality of work across the board was fantastic, they also completed in great time and within budget. We highly recommend eclat for anyone looking to upgrade their home as we could not be happier with how our renovation turned out. We will definitely be getting them back for our next project." "Thank you for our amazing bathroom. Thank you for being so respectful of us and what we wanted. Your eye for the final detail has been amazing and we really appreciate it. Thanks for also dealing with our crazy fur family and bringing them back when they escaped. Look forward to working with you again in the future." "Wow! We never thought our bathroom could be redone to look like this. It was great that communication with the company was always easy. They paid attention to the details and this has made this renovation a real pleasure for us. Thank you eclat building co. We think eclat building co. is the company to get if you want the best finish for your home." "Sensational service, attention to detail and always with our needs and interests first. eclat building co. was able to show what top customer service is all about. From initial discussions prior to upfront quoting through to successful completion of the project, we were able to weigh up creative options, economical alternatives and various avenues to tap into some of Brisbane's best trades people. We are delighted with the end result." "It has been a dream come true to have seen the remains of our 90s bathroom dumped in a big skip on the footpath and trucked to who cares where. Thanks to the switched on, customer centered approach of eclat building co we were helped with lots of ideas and explanations, including the suggestion to demolish an adjoining wall to create a more spacious bathroom. We are particularly grateful to eclat building co. for the guidance we got when we were trying to choose very modern but affordable, stylish chrome fittings, to match our beautiful tiles. Basically the whole experience was exciting, and a reminder to us to always avail ourselves of the best. Seeing is believing."